The FIFA football simulation franchise is often heralded as being the most complete virtual representation of the beautiful game. But, even ahead of the inevitable FIFA 20 unveiling, there’s no denying its focus: the top few flights of football, the highest level leagues of play from around the world. It makes sense, as it’s where the biggest names in the sport play, with the most recognisable international talent. But if you want to truly represent football in its entirety, you need a taste of the grass roots game. Jumpers for goalposts. Oranges at half time. The next entry, FIFA 20, could add in non-league play. That’s exactly what those in charge of the Vanarama National League are pushing for. They’re campaigning for the EA Sports brand to include teams from the lower-tier competition, asking fans to sign a petition to get the developer’s attention. “We love being involved in non-league football. Its proper football, with proper fans,” said, Andy Alderson CEO and Co-Founder at Vanarama. “The Vanarama National League is growing year on year and deserves to be recognised in FIFA 20. EA Sports need to stand up and take note and give the best fans in world football what they want. If it’s in the game, it’s in the game – come on EA, live by your mantra!”. It’s something that some recognisable names from the FA are behind too, especially given the potential financial impact. “This campaign, when successful, will make a real commercial difference to the financial challenges facing non-league football – in addition to putting a smile on the faces of some of the most devoted fans in the world,” added David Bernstein, former FA chairman. It’s not an impossible ask: EA Sports included the Chinese Super League in the series’ last outing. And while that was as much a play to court the massive Chinese market as anything else, it showed at least that EA isn’t adverse to bringing lesser-known teams and players to the table. For now however, the contents of FIFA 20 remain shrouded in secrecy. 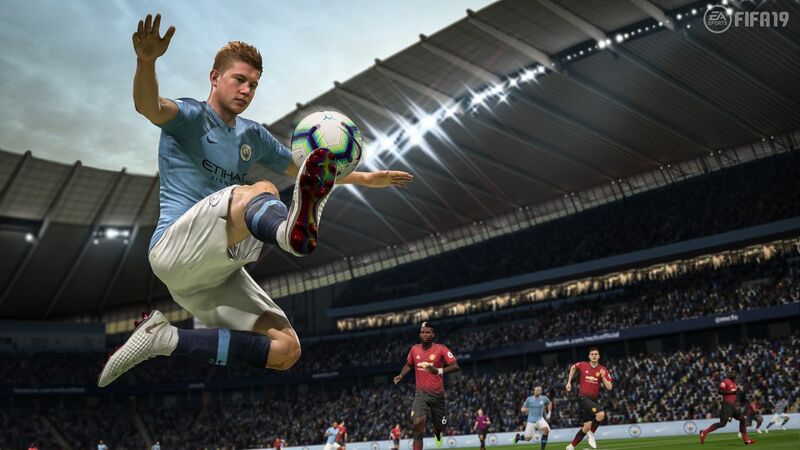 But we can have made some educated guesses, from FIFA 20 release date speculation to the new modes potentially on the way, in our dedicated FIFA 20 round up with all you need to know about what’s coming.